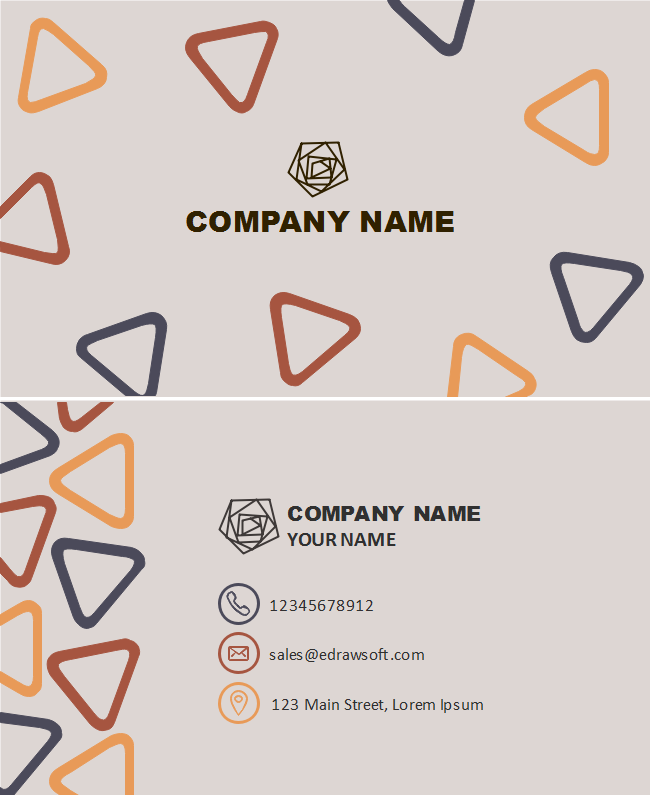 Description: Enjoy a fashioned brown background with 3 color triangles business card template just as this one here. Delight your social media followers and remain your top positions in the art design world. A free download is available for everyone who loves beautiful things.